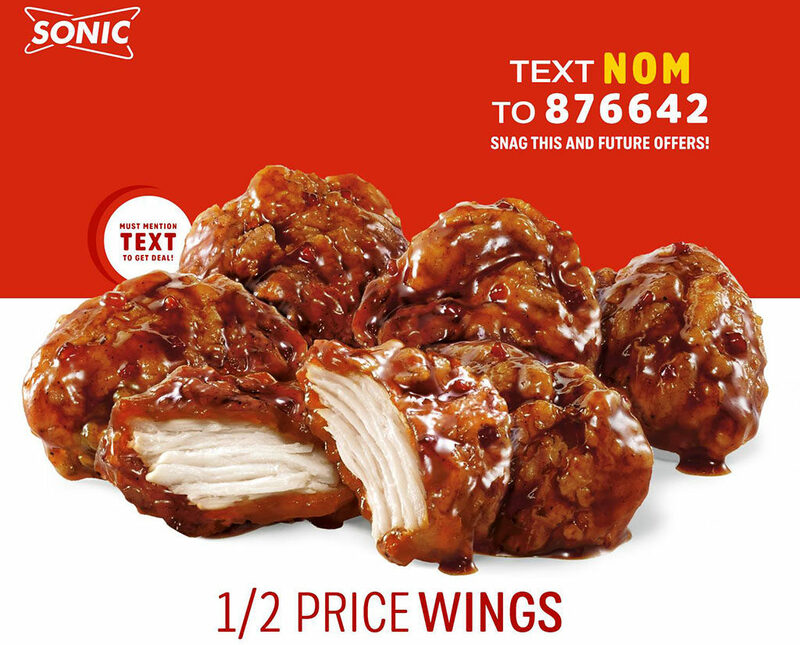 Today (December 20th 2018) only at Sonic Drive-In, wings fans can grab and order of Boneless Wings for half off! 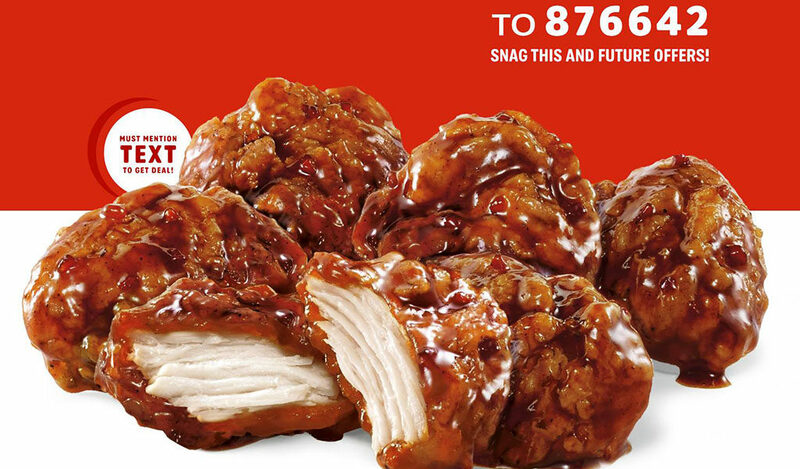 The deal applies to Sonic’s range of Boneless Wings: 6, 12 and 24 piece options. Wing varieties include: Honey BBQ, Buffalo and Asian Sweet Chili Boneless Wings. To take advantage of this fabulous offer you simply need to text your order to the restaurant. You can find more details on this Facebook post here. You can also see the regular Sonic menu here.